Flowstones - Description | W. W. Norton & Company Ltd. 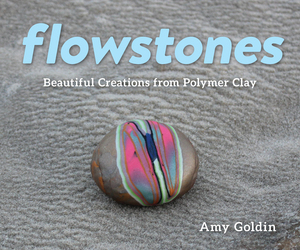 Conceived of by artist Amy Goldin, “flowstones” are crafted by moulding a sheet of polymer clay around a smooth river rock. With a beauty all of their own, they impart a sense of calm to the holder, grounded by the weight and soothed by the smooth surface. In Flowstones, Goldin shares photographs of the stones she has created and includes step-by-step illustrated instructions so we can all enjoy creating these delightful objects.